This is a sponsored post with The Genie Company. All opinions are my own. When you own your own house, everything is up to you. Something breaks? You have to pay to fix it or replace it. Sometimes, I forget that since we rented most of our lives. So we try to be as self-reliant as possible and learn how to fix things ourselves. When it can’t be fixed, we replace it. Simple as pie. My brother in law has been dealing with a garage door opener that only half worked for almost a year now. We aren’t sure how old the garage door opener is; it was there when they bought the house. I know how cold it gets in the winter and with kids, I understand the importance of having a working garage door. We decided to surprise him with a replacement. The Genie Company offers a great selection of garage door openers for residential garage doors. Matter of fact, their previous garage door opener was one from the Genie Company. Because there are different types of garage door openers, we consulted with Genie to figure out which ones would work best for their door. After figuring out what was more important, we decided on the MachForce® Garage Door Opener. What are my favorite features of the MachForce? I love how it doesn’t require lubrication (as it is a screw drive opener) and how fast it is. I also love how it comes with the Aladdin Connect® smart device; no need to purchase it separately. 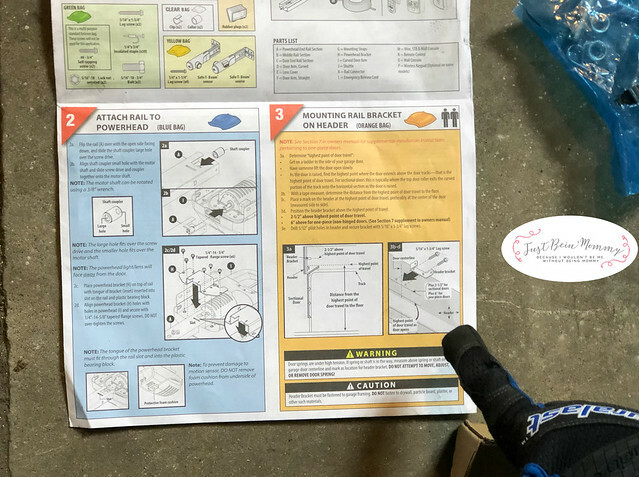 The MachForce® Garage Door Opener comes with the Aladdin Connect® smart device enabled garage door system. It has a 2 HPc ultra-quiet DC motor. This motor provides the ultimate combination of power and speed, making it 2 times faster than chain and belt drives. 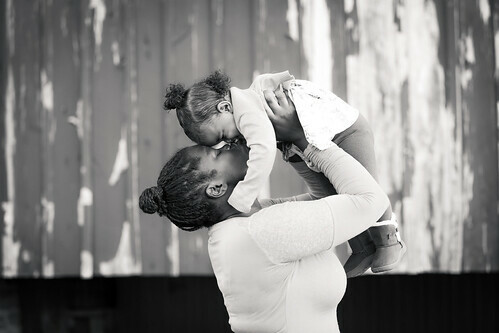 Because the garage door seems to be the most used door in most homes, we thought the Aladdin Connect® would benefit them. It gives you the ability to monitor the door away from your home. Wouldn’t you like to know whether or not your garage door is open or closed, when you are away? This was part of the installation. 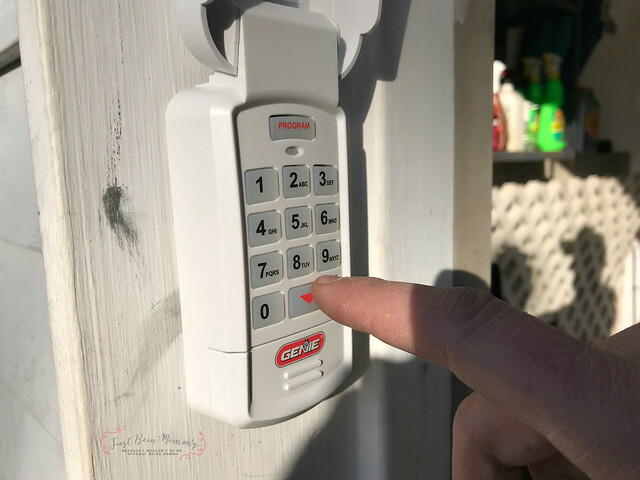 Installing a garage door opener is definitely something new for us. Make sure you aren’t doing this alone: This definitely wasn’t a one-man job. While it can be done with 2 people, there were 4 of us to help the job keep going. While one person may be handling something, anyone else can set up for the next part. It never hurts to make sure you have enough people. 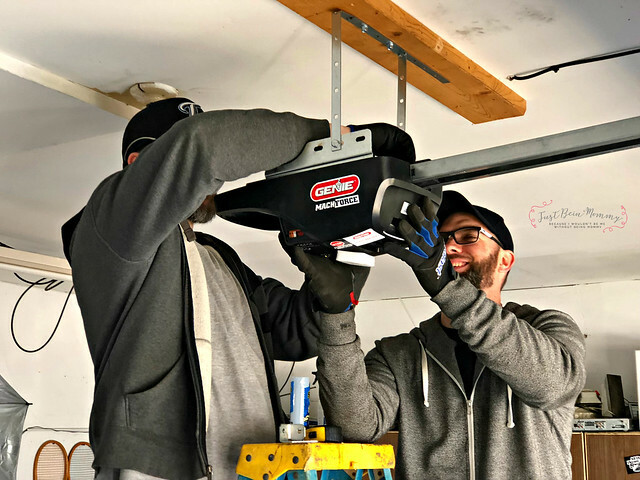 When installing the motor, keep the door up the track: First of all, it helps to rest the garage door opener track on the door so you don’t damage any part of the operator while hanging the motor. It also helps bring more light into the garage. The track is the most important part (other than the motor): Make sure the track is straight. It helped that everything was already set from the previous track. However, any extra curve can make the door come off the track. We learned that a couple day after installation. It was super easy to fix though and has been working great ever since. Don’t forget to pre-program the start/stop points: This is super important but also super easy to do. All the buttons are located on the motor and this guarantees the door ends up where it needs to be whether it is up or down. 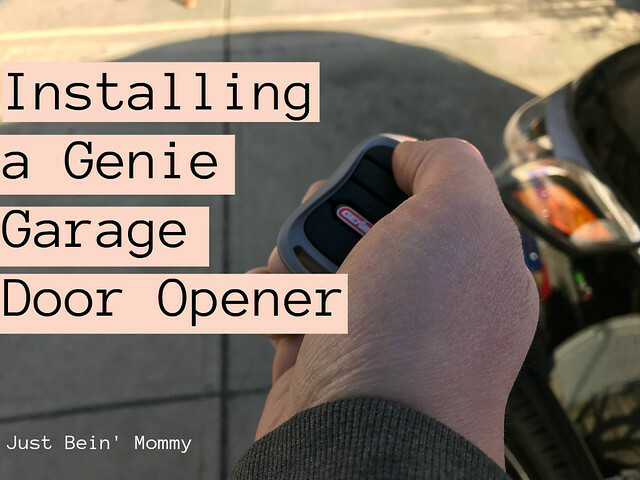 Installing a Genie garage door opener can be done in about 4 hours if you already have a door installed. It took us slightly longer because we missed a step or 2 and had to take things apart. However, now that it has been done once, the next time should be much faster. 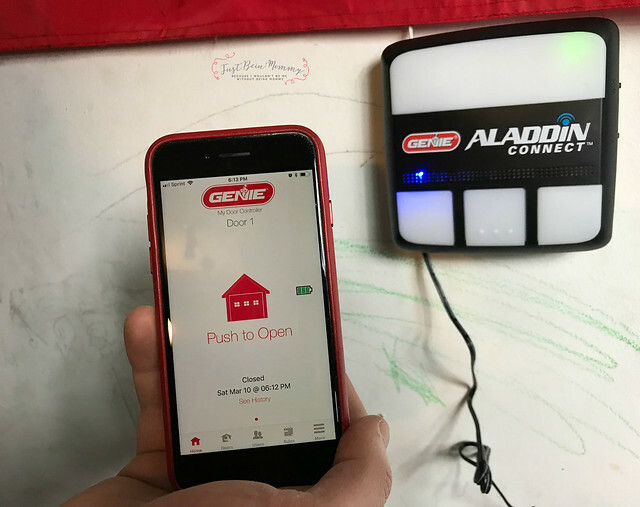 Thank you to The Genie Company for allowing us to gift our family with a new garage door opener. What a n awesomely practical gift! I love it. Thanks for sharing your review! Great gift! We recently upgraded our garage doors and opener... hubby works out of the garage so it made sense to upgrade. We love it! Hello Ashley, thanks for sharing these DIY ideas for installing garage door opener. 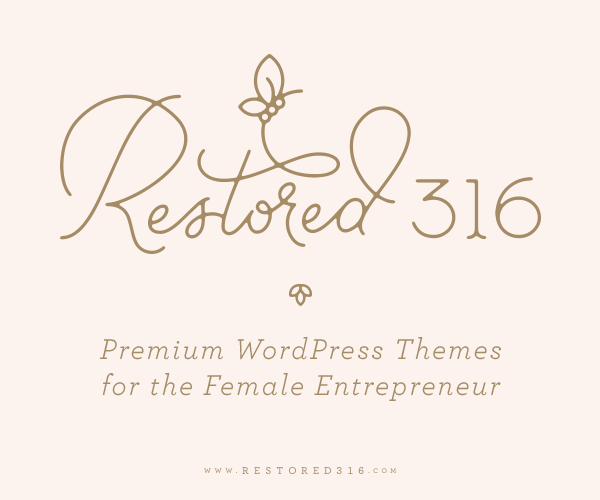 I was looking for such type of blogs only as I also want to install the same. Keep sharing!